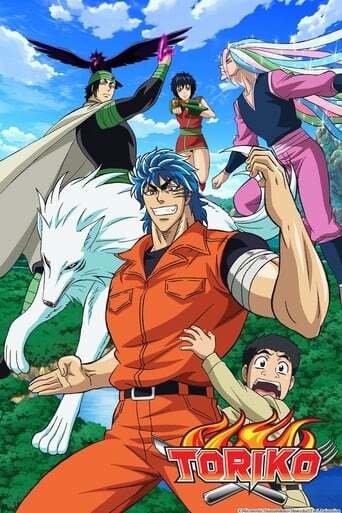 Toriko is a Japanese manga series written and illustrated by Mitsutoshi Shimabukuro. It has been serialized in Weekly Shōnen Jump since May 19, 2008, and has been collected into 25 tankōbon volumes by Shueisha as of July 4, 2013. It follows the adventure of Toriko, a Gourmet Hunter, as he searches for rare, diverse foods to complete a full-course meal. On his journey, he is accompanied by a timid chef who wants to improve his skills. A short film was created by Ufotable for the Jump Super Anime Tour 2009, with another created for the 2010 tour. The series has also been adapted into a television anime series produced by Toei Animation, which has been broadcast in Japan since 2011. Additionally, Toei developed a 2011 animated 3D short film and a 2013 feature film. The manga series is licensed for an English-language release by Viz Media in North America and Madman Entertainment in Australasia. Madman also licensed the anime series in Australasia, while Funimation Entertainment licensed it in North America.